Irving Park is located in the northern part of the city bounded by Montrose Avenue, Irving Park Road and the North Branch of the Chicago River. The area known as Community Area 16 is actually a collective reference to a group of smaller neighborhoods including Old Irving Park, The Villa, The Triangle, Independence Park, Addison Mall, Mayfair and West Walker. Irving Park is an architectural wonderland of vintage homes with many of Chicago’s loveliest and largest homes. The Historic District of The Villa has over 120 architecturally significant bungalows! 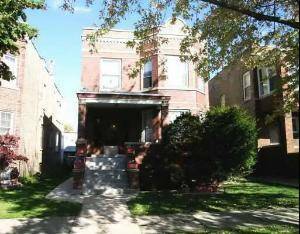 However, there are also many affordable options including farmhouses and bungalows in Irving Park. Irving Park has several transportation options with CTA bus service and the Blue line as well as Union Pacific trains stopping on Avondale. The Kennedy Expressway (I-90/94) also runs through the middle of the neighborhood. There are several public and private schools available in the area as well as Chicago National College. As most of the areas in the Northwest Side, shopping is convenient and fun bars and restaurants are plentiful. In 1910, Irving Park established its own park district and created eight local parks. The largest of the parks is Independence Park which served as the site of local 4th of July celebrations and held the distinction of being the finest landscaped neighborhood park for many years in the early 20th century. Irving Park’s first development began in 1843 when Major Noble purchased 160 acres of land and established a farm. The farm house doubled as a tavern serving travelers along the Northwest Plank road. After a successful farming career, Major Noble sold the farm to four New York businessmen, who also purchased 80 acres from Noble’s neighbor with the intention to continue farming. After seeing the recently successful suburban communities, they subdivided the land and created and exclusive settlement complete with a train station. In 1871, the Great Chicago Fire brought new residents who built unique less pretentious homes. The area’s first church was constructed around that time and, by the turn of the century, many other congregations had been established. In 1889, the community was annexed which brought major service improvements such as streetcars, fire departments and fresh water from Lake Michigan.